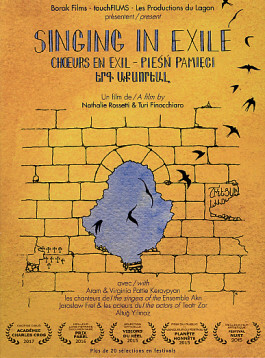 Aram and Virginia, an Armenian couple from the diaspora, transmit an ancestral tradition of chant which is in danger of disappearing to a troupe of European actors. 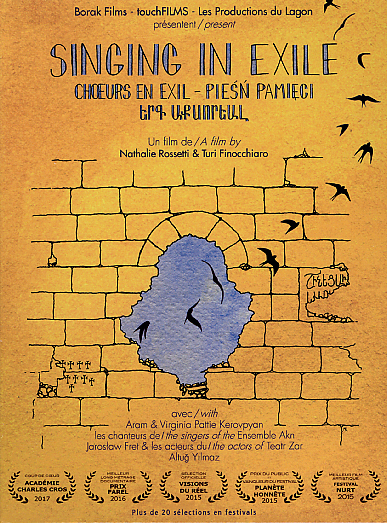 During the process of creating a new play, the couple takes the company on a trip to Anatolia where the Armenian civilization has been destroyed. Along the way, the questioning of the actors brings to the forefront the wealth of this culture: the chant becomes a language of creation and sharing, the breath of life. An initiatory journey where the sounds, the music, the words, the bodies and the cries impart a memory and a future.